You know you’re getting older when guys demand a healthy snack as entrance to Sunday football. Drew had to bring a Paleo friendly snack to a Playoff viewing two weeks ago and I helped him make this platter. 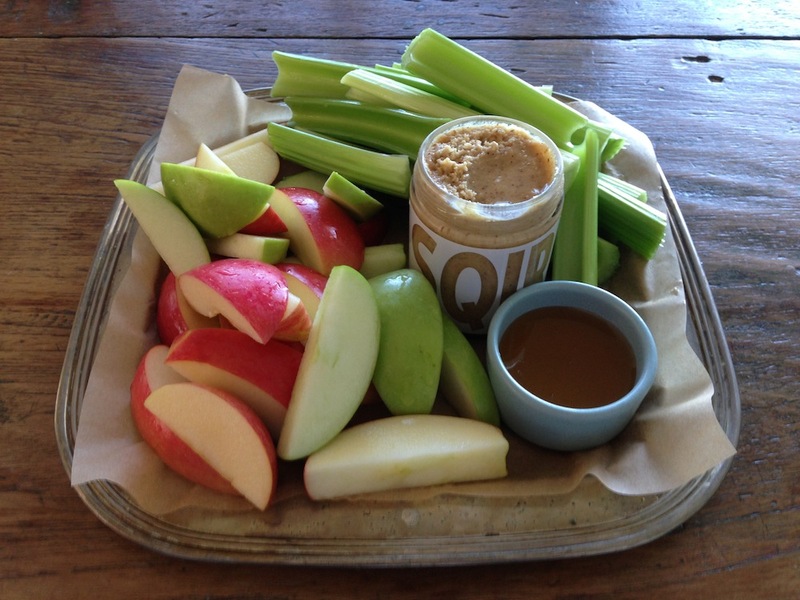 Apple wedges, celery sticks, local honey and freshly ground hazelnut butter from Sqirl LA. He said it was the first snack to get eaten so I think even if you attend/host a non-Paleo viewing party this platter will be well received. Kids would like this right? You can find freshly ground peanut and almond butter in most health food stores (usually in the bulk bin section) or buy a good quality nut butter in a jar. 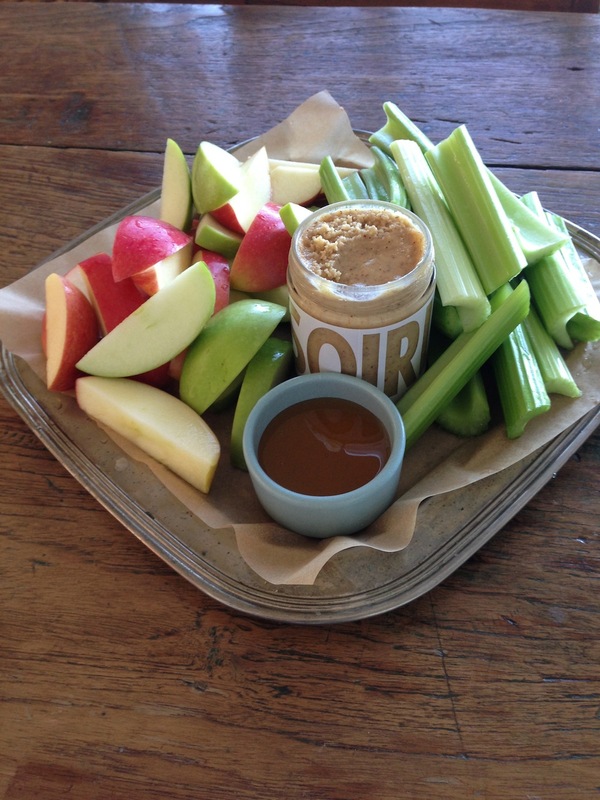 Are you trending healthy or unhealthy this year for Super Bowl snacks?